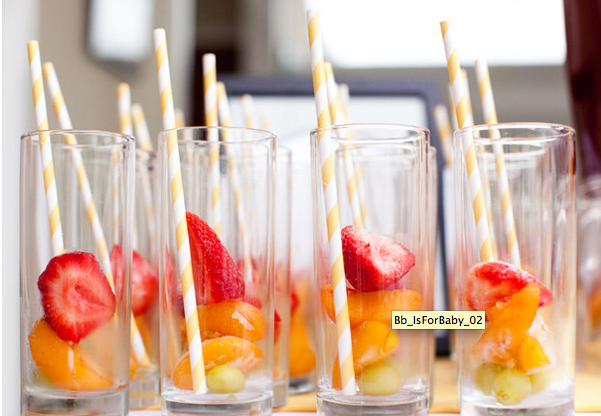 Hostess with the Mostess featured a fun "B is for Baby" shower theme and I immediately fell in love with these colorful glasses of fruit. Frozen fruit that won't just brighten up your drink, but help keep it cool without watering it down with ice cubes. Pretty and clever. You can check out the rest of the beautiful bee themed shower HERE.